My wife and I attended an Episcopal wedding in December—a beautiful service for two lovely people—but when we heard the homily we were reminded of why we are no longer Episcopalians. The priest was impressed by the theme of “light” that came up in the reading from Matthew. Putting his hand to his chin, he offered a little story (as is de rigueur for Episcopal priests these days when beginning a homily). He recalled how a church window he’d once seen with prisms in it was so beautiful in the way it “refracted light from outside into many different shades and colors.” After toying with this image for a while, he came at last to what was evidently his main point. “Marriage is a sacrament,” he announced with grave seriousness. He then proceeded to define the word sacrament for attendees unfamiliar with the term. My wife and I were ready to be impressed. Though we’d heard this priest’s homilies before and found them disappointing, it seemed a smart move to focus on the meaning of sacrament at a wedding. Unfortunately our hopes and expectations were not long lived. “A sacrament,” the priest said,“is an outward, visible sign of God’s light in the world.” (What?) 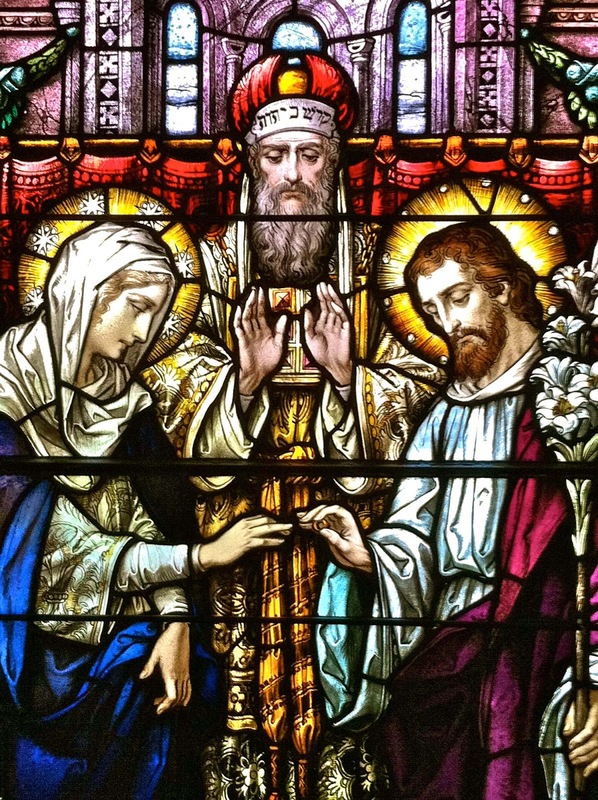 Marriage is a sacrament because “the marriage partners each have the light of God in them”—at which point the priest leaned toward the marriage partners and claimed to have personally witnessed it in both of them—and the whole congregation is a sacrament too, just as Christ is a sacrament, because the light of God shines in each and every one of us. This was heady stuff, but I was certain it was not Christian. I rehearsed in my mind (just to be sure I wasn’t crazy) what I thought to be the seven, and only seven, sacraments: Baptism, Confirmation, Eucharist, Penance, Anointing the sick, Holy Orders and Marriage. Each was a rite, not a person or a congregation, and I seemed to recall a crucial part of the definition that the priest left out. A sacrament had to be instituted by Christ as a sign of God’s saving promise, his grace towards us. That a sacrament required divine institution explained why there were not very many of them. Indeed, during the Reformation, Luther famously worried that even some of the seven sacraments were counterfeit, since they could not be traced back to Christ’s express words. Marriage, for instance, Luther regarded as quite legitimate, but not a sacrament. Baptism and Eucharist were for him the only ones that clearly passed the test. Yet while Luther worried anxiously about extending the dignity of “sacrament” to things Christ did not expressly institute, the priest at this wedding wanted to extend the notion of sacrament to everything—even to himself and everyone at the wedding. What was going on here? Most immediately something political was going on. This was a mixed race marriage, which the priest wanted so enthusiastically to affirm that he stretched the meaning of the word sacrament beyond its limits. By defining a sacrament as God’s light refracted through a prism into “many different colors and shades,” he was in effect bestowing sacramental significance upon the race of the marriage partners. Theologically, of course, there is nothing at all special about a mixed race marriage. Christianity in general and marriage in particular are perfectly blind to race. So there can be little doubt that this priest’s political ideals were behind his teeming enthusiasm. My wife and I were witnessing (not for the first time) this priest’s left-leaning political ideology morph before our eyes into religious assertions of the most serious sort. Our favorite, along these lines, was when this priest announced from the pulpit during a stewardship drive that money is a sin but the church is here to take this sin upon itself, thereby saving us. Again, heady stuff. But is this not all too human? I, for one, do not need a church that delivers the very ideals I already know (and find wanting) from the worlds of politics and business. I am, however, interested in a church that addresses the deadliness and futility inherent in all human activity. Is there a way to live that somehow escapes death and transforms our imperfections? If so, that would be worth hearing about (it used to be called the “good news”). The last thing I want to hear and see in church is our man-made ideals, our ephemeral, worldly loves trumped up into religious doctrine. This is a kind of imposture which is at best a pathetic lie and at worst impiety, since it effectively presents the human as divine. The challenge when thinking about the Episcopal Church today is to not let disappointment, incredulity and anger lead one into unrelenting criticism. Criticism, of course, has its place, and we must call things by their proper names, even when that name is heresy. However, it is far too easy for good men to lose themselves to the battle, to allow their souls to be filled not with God but with resentment. The challenge, then, is to turn occasions such as the wedding my wife and I attended into an opportunity for spiritual reflection. I propose to do this briefly by recalling the meaning of the sacraments in the Christian faith. Though one expects a priest to have some basic familiarity with the nature and meaning of the sacraments, the subject is far from simple. The seven sacraments are nowhere called sacraments in the bible. The term is in fact of Latin origin. A sacramentum in Roman law was a solemn oath or obligation. In the first Latin translations of the Bible and also in the Vulgate, sacramentum was used to translate the Greek mysterium, which means “mystery” (see e.g., Eph 5:32; 1 Tim 3:16; Rev 1:20; 17:7). But it was not until the writings of Tertullian in the late second or early third century that the term appeared in connection with the rites of Baptism and Eucharist. Evidently, something about the power of the word sacramentum to designate an oath or promise as well as a mystery made it ideal to describe those finite ways in which God’s mysterious promises are manifest in and through concrete rites such as Baptism. In any event, while early writers sometimes used the word sacrament rather loosely to apply to doctrines as well as rites, the term inevitably acquired a more restricted meaning. In the fifth century, St. Augustine defined a sacrament as “the visible form of an invisible grace,” a definition which while fairly strict, nevertheless enabled Hugh of St. Victor in the twelfth century to count at least thirty sacraments recognized by the church. Peter Lombard, however, also writing in the twelfth century, argued convincingly that the number of sacraments should be fixed at seven, and this was the proposal endorsed by the Council of Florence in 1439 as well as the Council of Trent in 1547. The Council of Trent was the council that condemned Protestant heresies, such as Luther’s teaching on the sacraments. Luther’s grounds for rejecting the Roman Catholic teaching, though, were not unreasonable. It was simply that Christ did not institute all of the sacraments as special ordinances of the church. Marriage, for instance, was as old as mankind, not something that uniquely symbolized God’s grace. Baptism and the Eucharist were, moreover, linked together in a special way in the New Testament (Acts 2:41,42; 1 Cor 10:1-4); and St. Paul drew strong parallels between these two sacraments in particular and the symbolic rites of the Old Covenant, circumcision and Passover (Col 2:11; 1 Cor 5:7; 11:26). Much in scripture, therefore, suggested that Baptism and the Eucharist were different. So how did the Anglican Church respond to this controversy? Not surprisingly, it took a middle way, while using language with great caution. The Thirty Nine Articles of Religion (1563) elevate Baptism and Eucharist to the status of sacraments “of the gospel,” which does not deny that other sacraments exist. Similarly, the new catechism for the Book of Common Prayer (1604), in answer to the question, “How many Sacraments hath Christ ordained in his Church?” responds: “Two only, as generally necessary to salvation, that is to say, Baptism, and the Supper of the Lord” (my italics), which does not deny that other sacraments may indeed be necessary in particular circumstances. Moreover, the Anglican Church retained a crucial element of the Roman Catholic teaching as well, namely an insistence upon the “efficacious” nature of the sacraments to “make present the graces proper to each” and to “bear fruit” in those who receive them with the proper disposition. I take this language from the catechism of the Roman Catholic Church, though it comes quite close to the Anglican Thirty Nine Articles, which refer to the sacraments as “effectual signs of grace” by which God “doth work invisibly in us, and doth not only quicken, but also strengthen and confirm our faith in him” (Art. 25). In other words, the sacraments are not merely symbols but also means by which divine grace works within us. Though we often talk as if the ways to live are infinite, the truth is that the fundamental alternatives are finite. The great divide is between those ways of life that are basically God-centered and those that are man-centered. To live an anthropocentric life means to place man in charge of his own destiny, to strive in every way possible to satisfy our wants as they are felt here and now. To live a theocentric life means to take our bearings from some source of authority higher than man, striving to live according to norms that transcend quotidian desires. Of course, theocentrism and anthropocentrism admit of many varieties, and for obvious reasons: God’s will can be understood in different ways, as can man’s analysis of his felt needs. But the fundamental alternative is this: do we live in obedience to what we understand to be divine or in the service of what we know to be human? This is a question of the utmost seriousness and not some spurious dilemma the answer to which is obvious. There are strong things to be said for both ways of life, and neither, it seems to me, trumps the other as a valid possibility. I stress this because the vast majority of Christians today, at least in my experience, are as mindless about their faith as the modern secularist is mindless about his atheism. They “believe,” but they hardly sense (if they sense at all) the basic problems which belief in the “good news” is meant to solve. They believe, moreover, in a storybook God whose nature and will are perfectly intelligible, not the mysterious God whose nature eludes us, whose will confounds us, and who by becoming incarnate in Jesus Christ did something ontologically impossible, thereby demonstrating that he was and is God while completely shattering our understanding. Only in light of the seriousness of the human dilemma does the significance of the sacraments come clear. We do not face a choice between obviously false earthly goods and obviously true heavenly ones. We face a choice of basic orientation in relation to earthly goods which really are good and which, while never completely satisfying still possess certainty and concreteness; and heavenly goods which are scarcely felt except in their absence and which are massively uncertain, perhaps only a wish. The significance of the sacraments in this context is precisely that they help to bridge the gap. They do this because they are visible signs of God’s saving promise. The sacraments—all of them—are rites in which the “inward and spiritual grace” given to us by God is signified by something outward and visible, a kind of token or pledge for our assurance. And who does not need such assurance? I can scarcely imagine the challenge of the Christian life without some such assurance, visible for all to see, of God’s promise. Obviously not everything on earth can be made to play this role. Christ chose symbols that were deeply charged with meaning and whose literary antecedents ran deep: water, bread and wine. But the key here is that Christ chose them. The Episcopal Church today, by contrast, seems to choose its own sacraments. But the problem with this tendency is fundamental: far from constituting an assurance of God’s promise, self-declared sacraments rather confirm our latent suspicion that there is no God after all and therefore no promise either. We merely imagined there was good news, a solution to the futility of human existence; but as it turns out the news was just a wish. That’s what I have to conclude from a homily in which the priest creates sacraments de novo, as if he does not think a boundary lies between fashionable human sentiments and life-altering divine promises. David Corey is Associate Professor of Political Philosophy at the University of Baylor.